Da esquerda para direita: Marcela Prieto, Diretora do General Foros Semana, Martha Ordóñez, Conselheira ao Presidente – Equidad de la Mujer, e Patrícia Villela Marino, Humanitas360. Patrícia Villela Marino, presidente da Humantias360 e vice-presidente do Instituto PDR. Patrícia com jovens participantes do programa da JUANFE em Cartagena, Colômbia. Grupo visita Olaya Herrera em Cartagena, Colômbia. As Humanitas360 (H360) grows its reach and builds its network in Latin America, the president of the organization, Patrícia Villela Marino has been able to participate in innovative and key initiatives throughout the region. 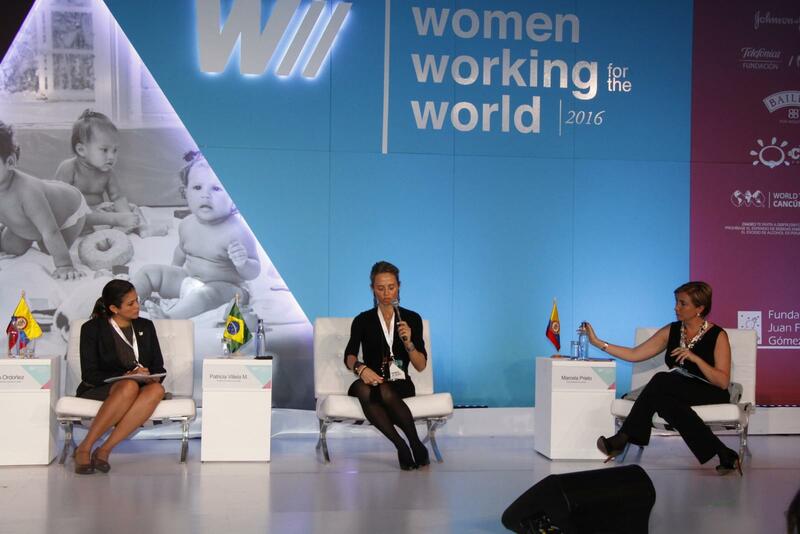 She has recently traveled to Bogotá, Colombia to speak at the Women Working for the World (@ForoWWW) forum on February 25th. Hundreds of women gathered for a full day to discuss and exchange experience and best practices with the purpose of fostering the development of Latin American women and girls that suffer with violence, poverty, lack of education and other issues. The forum was organized by the Juan Felipe Goméz Escobar Foundation (JUANFE). “I emphasized what means to be empowered and to have power, which are very different things that don’t necessarily coexist,” said Patrícia. 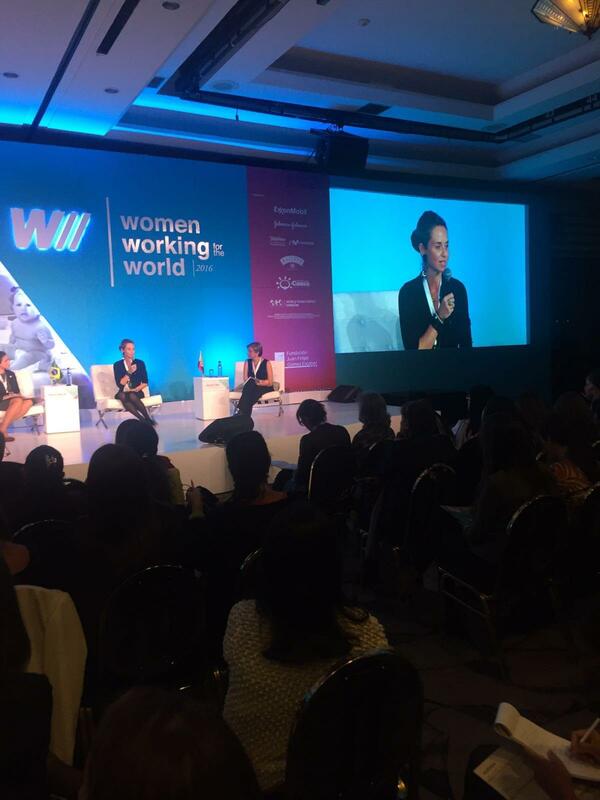 The panel, which was moderated by Marcela Prieto (Director of General Foros Semana), also had the participation of Angélica Fuentes (Founder and President of Angélica Fuentes Foundation) and Martha Ordóñez (Consultant to the President at Equidad de la Mujer). The leaders discussed how empowered women have higher chances of having more educated children, thus fostering more gender equality throughout generations. They also talked about how empowered women and girls are key in order to create a more prosperous, healthy and safer world. “Hearing from exceptional women was so empowering for everybody in particular for the few men attending the conference. We believe in supporting talents that strive for equal opportunities,” said Piero Bonadeo, vice-president of H360. The forum also included activities such as interview sessions with Laura Turner and Fanny Lu. Other panels focused on education, reproductive health and women in leadership, and counted on the participation of personalities such as Joy Manini, the Executive Director of Coorporate Contributions at Johnson & Johnson, Alejandra Izquierdo, an indigenous leader of the Arhuaca Community, Bruce MacMaster, President of the Asociación Nacional de Empresarios de Colombia, and Natalia Ponce de León, who suffered an acid attack and today serves as president at Natalia Ponce de León Foundation. 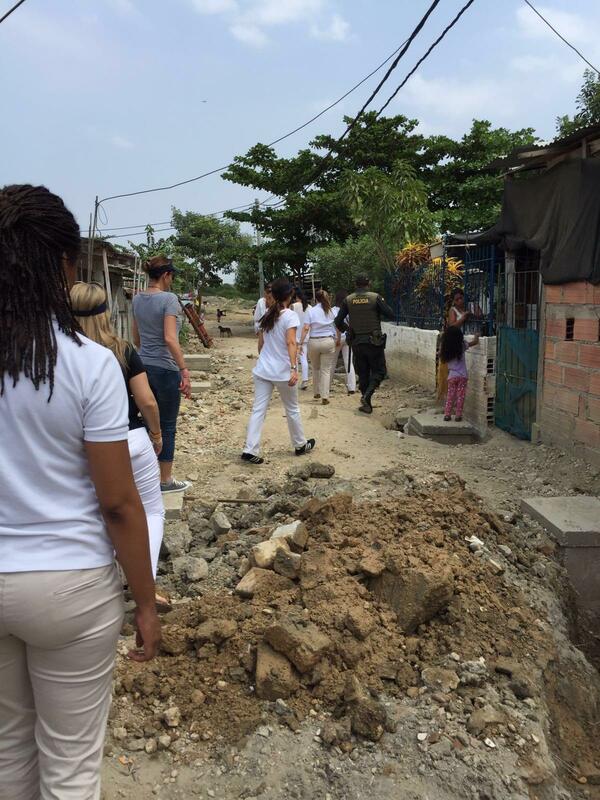 Following the forum, Patrícia and Piero traveled with other participants to Cartagena to see first-hand the empowering work being carried on by JUANFE in one of the most poverty-stricken areas of the country, the neighborhood of Olaya Herrera. During the visit, they toured JUANFE’s well-structure social center, where several programs are carried out, including a day-care unit that allows young moms to receive professional training in several areas such as hair styling, cooking and sewing. 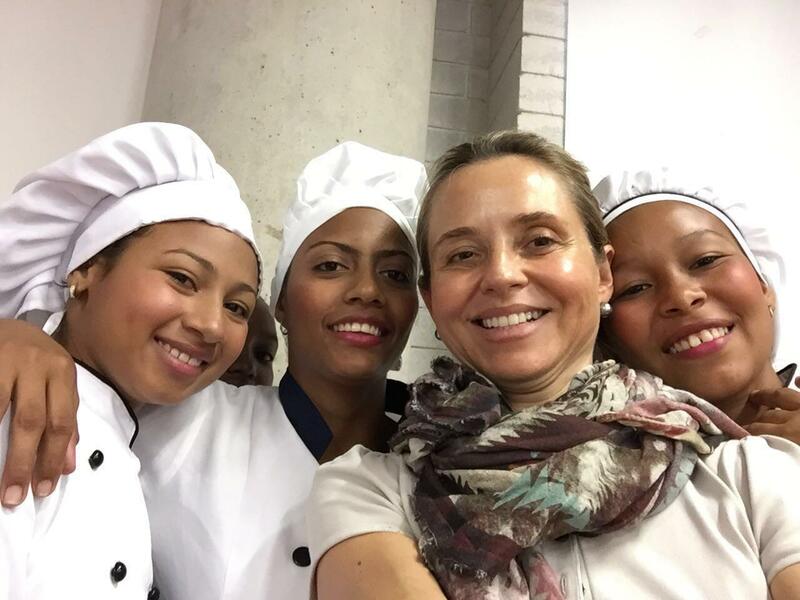 Hundreds of young women have already been empowered through this program, which serves as a sustainable model for other Latin American countries. 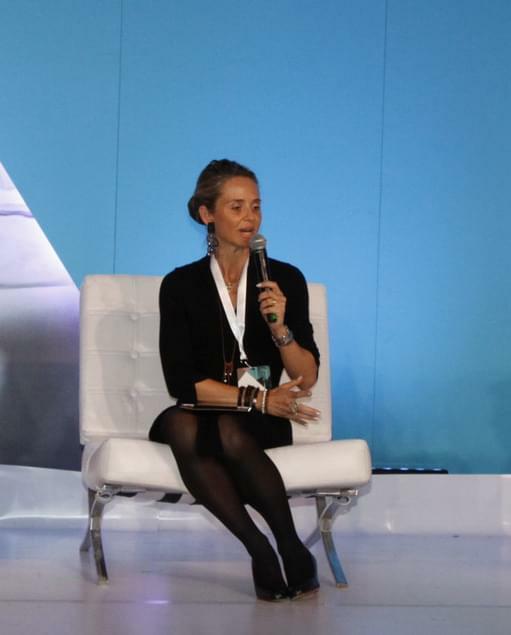 “I really enjoyed participating at the conference and I believe everything became tangible with visiting Cartagena the following day, where we could grasp the impact and penetration of [JUANFE´s] work in the lives of girls that have early pregnancies as well as in the lives of their children,” said Patrícia. Beyond drawing inspiration from the project, Patrícia identified several opportunities to foster similar initiatives in the continent and hopes to carry the exchange of best practices. “I already had the chance of meeting a few of the girls that were part of JUANFE´s programs two years after being a part of it. They were living in their own homes, taking good care of their children, and being confident about their part in society,” said Patrícia.